In 1970-71 Ferrari wanted a new GT car to take advantage of updated FIA racing rules governing engine displacement. Ferrari had been racing the 312 in LeMans and other races, but with Porsche’s new 917 it was out gunned. 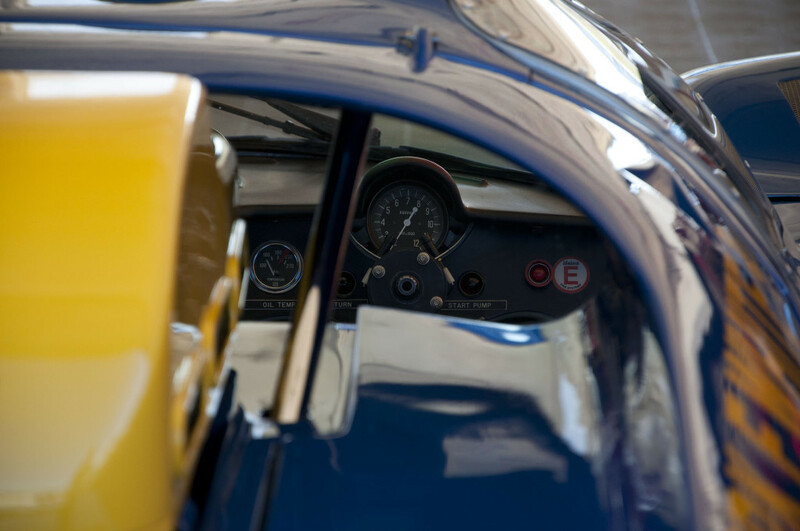 While the 917 used a 4.5L to start, Ferrari designed a brand new 5L V12 for the car, based on their F1 engine. An aluminum frame helped the car weigh in at roughly 2000 lbs- not much for the 500-600 HP engine to move. The body was a fiberglass progression of the 312 and typical for the era. Only 17 complete cars were initially built, some as “S” models, and later cars as M’s – total production was eventually 25. The 512’s racing history was mixed. A myriad of famous drivers like Jackie Ickx and Mario Andretti drove this in races like Sebring and LeMans, but it never had major podiums (the ’70 LeMans was lost to Porsche due to a crash). The 512s did well in 1971, but the 5 liter series was ended by the FIA and cars like the 917 and the 512 became instantly out of work. The car featured here is chassis #1040. This was originally a 512S, but later it was updated to the M package by at-the-time owner (and Lehigh University grad!) Rodger Penske. While notoriously fast for a 512 due to Penske’s upgrades, it never finished well in major races. 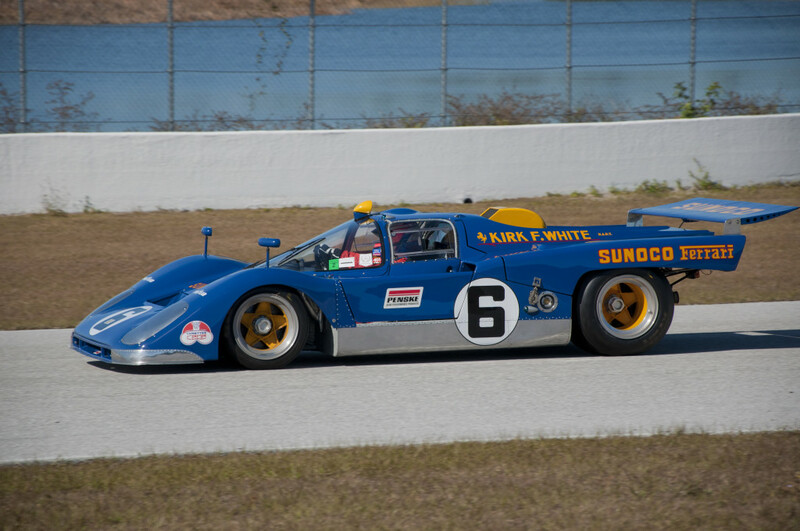 The picture below was taken at the 2012 Ferrari Cavillino Classic at Palm Beach International Raceway, where 4 512’s were in attendance. As one of the premier Ferrari shows in the world, each year you are virtually guaranteed to see a who’s who of Ferrari owners and cars.